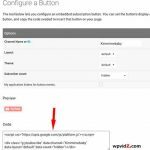 Inspired from my older post: wordpress change “Home” page, I write this simple “disable comments wordpress” post, which uses WP latest version, version 3.1, 2011. In that post, actually one of my commenters Lilli, wanted to have a page where she wants to make it look like a static website, non blog wordpress website. One small glitch, she found, she still found the comment box under the page. If you want to make a business website or a more professional static look of a wordpress site, you probably do not want this box appear below your page or post content. This box is actually typical blog layout which lets people giving feedback, review, or questions to the associated content, that’s one of many typical blog features. 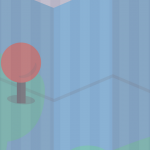 Thanks to WP’s flexibility, you can turn on and off this box if you do not want them to appear. Though the disable comments wordpress method is very simple, some newbie bloggers who learn wordpress are overwhelmed with so many buttons and links in their dashboards, and some functionalities are often unseen. In this disable comments wordpress tutorial post, we are going to use Twenty Ten theme, the default wordpress 3.1 theme. As written in the heading title above, the result of getting rid of comment box really depends on your theme. The possibilities, are the box will be gone, and no notifications, or there would be a small notification, like “comments are closed” or similar short message. This is due to the difference code every themes has. Like in Twenty Ten, you would not see any message or notes. If it is disabled, it will show blank clean layout. In Thesis theme, you would see, “comments are closed” or similar note, unfortunately, I can’t remember the message exactly. But what great from Thesis is, you can disable that short message with Thesis options, only ticking whether you want to display or hide that message. Now, I am only familiar with those two themes, I am not familiar with other free or any other themes. If you try this disable comments wordpress simple tutorial, and can’t get the expected result, I recommend you contact the theme’s designer, because he is the one who wrote the codes. (related post: Why premium wordpress themes?). So now, we will get rid of comments box in wordpress, do not be afraid, disable comments wordpress post is very simple step.. I even do not make any disable comments wordpress video tutorials, because its so easy and simple, so I thought it wasn’t worth to make a screencast. Let’s get this disable comments wordpress tutorial started. 1. I assume you are already logged in to the admin page, and already created the posts or pages, if you haven’t, create one. If you have, just click the post or page, and then “edit”. 2. Now, you should be in the post or page..
3. If you install wordpress 3.1 this option is hidden by default. Tick, discussion, or other options which you want to display. 4. 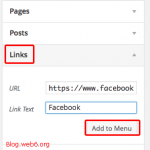 Now, scroll your page down, you should see many options below the post or page’s box, such as, excerpt (related post: All in One SEO configuration), send trackbacks, custom fields, Discussion and Author. 5. Expand the tab if it is not opened. 6. 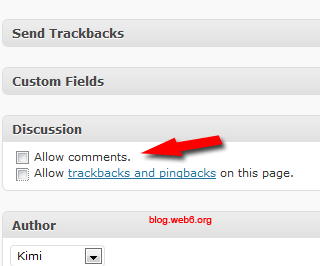 You will see: Allow comments and Allow trackbacks and pingbacks on this page options. 7. To disable the comments box wordpress, untick both of them. Untick the tick boxes under "Discussion"
8. Click update or publish button. You will be able to get rid or disable comments wordpress box using Twenty Ten theme by following this simple disable comments wordpress post. Hi Kimi, I always use that option to disable comments specially on posts where I share coupon codes (since most of the comments are only for backlinks in that kind of posts). None the less, it is a nice simple tutorial for those who do not know how to do it. I just installed WordPress 3.1. Haven’t done any fancy stuff configuration or code wise. Using just the defaults straight from the installation. I have not altered any code. Yet. I am not getting the options mentioned in steps 3 to 6 below a post or page. In previous versions of WordPress (2.9 and lower) these options were/are available. Do you know where the problem may lie? 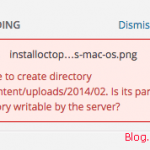 This missing options of a new installed blogs can be caused by many things, example, not completed transferred files if you use FTP, or if with Fantastico, the installation process may also not 100% succeed. I always install mine manually, downloading fresh files from wordpress.org and upload in cPanel. I think I will do just that – reïnstall. Note: I always install manually as well. Thanks to you, because I re-checked again, and you are right, those options are hidden by default in wordpress 3.1, I wonder why, because this confuses newbies like us. So I have research in wordpress.org site, and made the video, hopefully this can help people. I have never realized this, because my wordpress 3.1 is from upgrading the older version, never installed wp 3.1 fresh. I have watched your install tutorial video. The secret is under “screen options” and checking the boxes for “discussion” and “comments”. I updated the post again though. I re-installed wp 3.1 again and in fact we don’t need the code, unless we want post revision to be displayed, but we mostly don’t use it. SO had to relearn again. However, I didn’t add the code as u mentioned in your video tutorial, but when I go to ‘screen options’ and select the comments and all, it did appear. Mind telling me what the code’s for? Thanks and have a great week! I just updated the post after I re-installed a wp3.1 again in my local machine. Yes, we don’t need to add any additional codes unless we want to display “post revision” or other options. By clicking the screenoptions, it is enough. Thanks for the great catch, I updated the post! Was starting to wonder what was going on with my site until I read this post. I just spent 30 minutes trying to figure out what the tick box to hide comments had vanished. Actually, I did not notice this change even though my blog uses wp3.1 but it is from updating, so the older setting is saved in database. I don’t understand why it is hidden by default though, because those options have been very useful to us. Thank you Peter, for leaving a message. Am I completely missing something? How do I hide comments on PAGES? I have 3.1 and Thesis. Under page box area, do you have “discussion” tab? where you can disable comments or trackbacks. If not, please check on screen options. I help this post helps. No, it is strange, it us not under discussions as it used to be and there is no screen options as there used to be! Maybe with the update. Thanks so much for this info. I was going nuts trying to figure it out. Thanks very much , its help me lot . The problem I’m having with WordPress 3.1 is that comments are disabled on my pages, even though the comment box is checked. Any ideas on how to fix this? Also, for those pages where the comment box is not checked, there is a ‘comment closed’ on the page. How do I get rid of this? Did you try the default theme, to see if it works with default theme. If it works, then the theme you are using has some different codes. If it does not work, it maybe the plugins, disable all plugins one by one and then try it. Hi Kimi, how to disable the comments in the Whole blog using 3.1? If you just installed 3.1 the Jetpack banner is hiding the screen options tab. 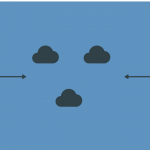 Go to plugins on left panel an deactivate the Jetpack plugin. Once you’ve done so, the screen options and help tabs will appear as in Step 3 above. sometimes its best no to rely on a plugin for everything as it may clash with the core functions of WordPress. I will surely share this with others. Wow, none of the tips above worked — BUT I did find that when displaying ALL pages, Quick Edit will show the “Allow Comments” checkbox (even though the Edit scree does not, which seems crazy). THANK YOU LARRY! I’ve been searching for hours! Who knoew Quick Edit was where to go! Wow, your tutorials today saved me so much time. Thank you so much. I was pulling my hair out and missed something as obvious as clicking on the “screen options”. I was going nuts with CSS and functions. Thanks a lot for clean step by step instructions. Thanks for this. I have been looking around to find out how to turn off comments for a post for a few days! This is the most aweful UI design I have ever seen. You have to toggle the option you want to turn off, to “on”, to turn it off? Now wonder there is so much confusion. Wasted 2 hours of my life on this. Thank you! I was looking everywhere! Thanks for the tip… I was wondering how to do this exact thing!!! I believe the question would be… why would anyone want to disable the comments? They are very useful and keep the people connected and with a sense of community. They kept the UI a little too uncluttered in the latest releases of WP, so I was like “where to disable comments?” Thanks for sharing! I really do feel WP is constantly fixing things that are not broken! Someone asked why would someone want to disable comments, not ever page is made for comments, hell my site is still in the working stage but even when done i don’t need people commenting on every single page, and like it or not some people modify templates because its easier to modify then code yourself even if you know a bit, my site in the end is not s much a community project, it’s a hobby, i will leave a page open for comments but having open for every page is just a bit much, and the last thing i need is negative comments when I’m still working on the site. Thank you sooo much!! I was struggling for a while to figure out how to get rid of that Comment box! I appreciate your help!!! Great you can finally figure it out, as I mentioned, I didn’t know the screen options too in the latest version of wp. Realy very heartly , thank you……i tried your steps and it works perfectly, no need of help of anyone…. By the way, nice job optimizing your post for “disable comments wordpress”. I found you on Google searching for that keyword! Thank you so much, Larry! Been battling this issue for nearly an hour. Quick Edit does indeed do the trick. Thanks, new to WP and this stumped me. Thank GOD for people like you who make solving problems as easy as a quick google search! Very useful and helpful I learned things that I never knew before. Thank you for sharing it with us. Should not turn off it! We need share allthing in live. Still not working for me with Mantra 1.9.0 by Cryout Creations – I’ve tried everything, any other ideas? Thanks! I know they hide this stuff because most people are happy with the defaults. Thanks for spelling out where comment toggle is for pages. Excellent. Maybe I’m missing something, but here’s my situation. Using WP (3.5), theme is Twenty Ten. I recently moved an established site to a new host. So, discussion and comments are not checked, but still there’s a comments box on the home page. I’ve even tried checking them and saving and then un-checking them to no avail.